The first general meeting of IRSE Indonesian Section after Inauguration was held on 30 October 2013, attended by forty members and visitors from S&T Community in Indonesia. The General Meeting purpose was to present the commitee report regarding the creation of the IRSE Indonesian Section and the next programme under the commitee for the 2013-2014 period. 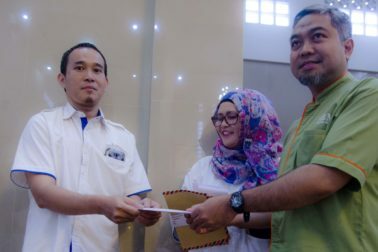 After the opening speech from the Indonesian Section Chairman, Mr. Adi Sufiadi Yusuf, he handed over IRSE certificates for New Fellow Mr. Arief Heriyanto, Associate Member Mr. Yunanda Rahajanto and new members from PT.LRS and the Indonesian Railways Company. Also in this General Meeting, Mr. Ramesh Rao from Bangalore India gave a presentation. He is an IRSE Competence Assessor who gave mentoring of topics regarding the IRSE Licensing Scheme and the IRSE Exam. The attendees were very enthusiastic as shown in the interaction between audience with Mr.Rao, through questions and answers that only ended by time limitation, an even longer time than the time slot allocated. Mr.Rao explained the IRSE Licensing Process and IRSE Exam process. The Indonesia section would like to explore how to give benefit to members or prospective members by conducting the IRSE Exam in Indonesia. It will challenge the prospective candidates and will encourage them to do self study, attend the mentoring programme of the Indonesian Section and other activities for preparation for the IRSE Exam. After break time, the General Meeting session guided by Toni Surakusumah, the General Secretary of the Indonesian Section was started. The Commitee reported that the legal aspect of registering the IRSE Indonesian section has been created. The commitee also reported on the activities since inauguration and the press release to various national media regarding the establishement of the IRSE Indonesian Section. 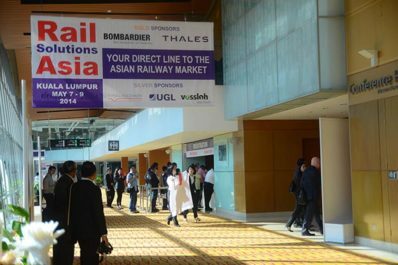 The Indonesian Section has been invited to several events of round table discussion with Railway Stake Holders of Indonesia, and was even invited to participate in the IRSE Malaysian Section inauguration. 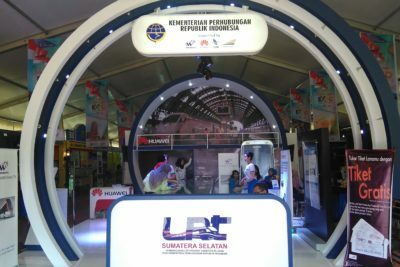 Basically, all members intend to contribute significantly and share their expertise in the S&T field with the Indonesia railway stake holder; it will not take too long from inauguration to make the expectation become reality. Moreover, in this General Meeting the setting up of a Forum Group Discussion (FGD) in order to prepare Indonesian standard for Signalling rules, symbols for Drawing and any other definition standard required for the S&T in Indonesia was discussed. Hopefully the result from FGD in the form of an IRSE FGD report can provide additional reference for the authority to prepare comprehensive representative regulation that supports the effectiveness of S&T work Indonesia. 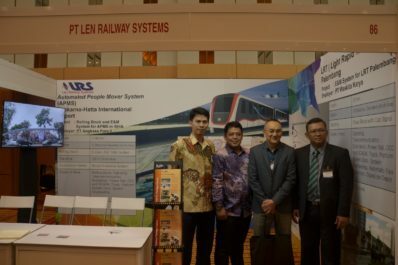 Soon the FGD will be launched and the IRSE Indonesian Section will produce valuable technical reports to whichever railways stake holders as a apart of the IRSE Indonesian significant contribution.